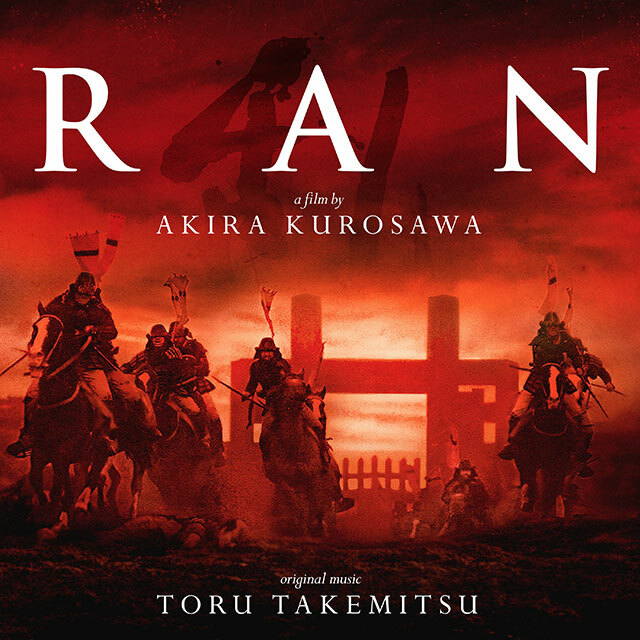 Over a 60 year career director Akira Kurosawa’s films have passed into cinematic legend and he retains his status as one of the most influential and preeminent film-makers of the 20th Century. Films such as Rashomon, Seven Samurai, Kagemusha and his last great epic, Ran are all regarded as milestones in the history of celluloid. The latter, the most expensive film made in Japan up to its release in 1985 is loosely based on Japanese legend and Shakespeare’s King Lear. 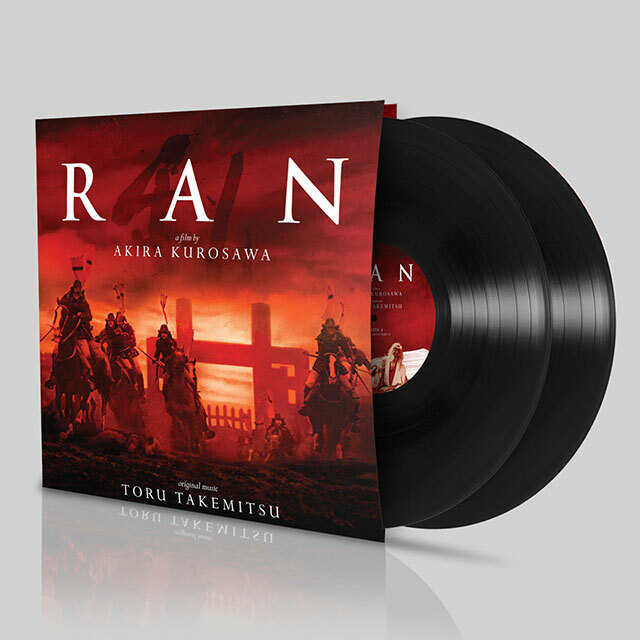 Composer Toru Takemitsu ranks as highly in the echelons of Japanese music as Kurosawa in film with a prolific output of soundtracks alongside major music works and books. Commissioned on Kurosawa’s instructions to deliver a score inspired by Mahler with up to 40 disparate takes of music, the spectral and eerie sounds capture perfectly the imagery on screen. Originally released as two separate suites of music this version includes those and adds a further 14 tracks of Takemitsu’s score.